Is NADA Accurate and Reliable? What is the NADA Used Car Price Guide? It’s a set of consumer reports very similar to the KBB Guide, which means when it comes to questionable accuracies and discrepancies of its message to the public, these two guides have something very much in common. Though NADA is considered a very reliable resource of used car prices by most, to fully understand when, where, and what makes it so you must understand the basis it’s built on. That sounds simple enough, but many American consumers could be very misguided about its information. What Is The National Automobile Dealers Association? It’s a national trade group incorporating thousands of car dealers across the country into the NADA Blue Book Guide. Where Does NADA Get It’s Information Listed In Its Guide? The National Automobile Dealers Association’s NADA Blue Book Guide is its official retail-pricing list, therefore allowing it to make use of a wide variety of points of sale. This results in a list of car prices. Sound reasonable, right? Well, that depends on your point of view. When making a used car purchase ascertaining exactly the future value for a specific vehicle can be difficult because of typical discrepancies between values listed in the NADA guide and KBB. How Does NADA List Prices of Cars in Their Guide? Representatives of NADA promote their guide representing it as the strongest, most valid, and most reliable information list of auto market values when compared to the KBB guide, and even Edmunds pricing guide. Their claim that NADA has a unique set of data points the other guides are missing and don’t have access to is true since the others don’t have access to sales made by the exclusively National Automobile Dealers Association affiliated auto dealers. This results in NADA using hundreds of thousands of individual sales transactions to derive with an average pricing list for their guide. However, are their figures fair market values consumers should count on? To put it simply, no they’re not. What Are NADA Values Issues? You may not think a couple of issues are a big deal, but think about these. NADA makes use only of dealership sales prices. This means no private sales prices are include in their algorithm. That means the same car – same make, model, year – a dealership is selling in the exact same condition – similar mileage, same wear and tear – is not going to be much value to you. Let’s face it, dealers tend to jack up the sale price of a car quite a bit more than private sellers do. On top of this, the NADA guide doesn’t always account for any discounts or incentives car dealerships offer. The cars used for analysis in their algorithm are vehicles sold in very clean condition. Individual sales from private sellers are not normally of cars in very good condition, with a small fraction falling into the same condition parameters of dealership used car sales. For this reason alone, the NADA value for vehicles may not be the best gauge of a used car sale price by a private seller. Car Buyer USA – Can I Trust They Can Beat the List Price of My Car in the NADA Guide? There are no ifs, ands, or buts about it; yes, CarBuyerUSA is spot on when it comes to a used car’s value. What’s more, is and you get a 20-second offer you’ll be happy with and get cash in your bank the easy, safe, and fast way. 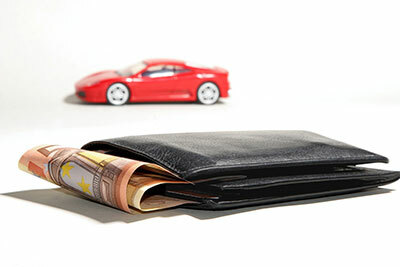 Things you can count on are we know vehicle owners are interested in selling cars fast and we buy cars fast. We use our patent pending formula calculator to produce a real-life price you won’t get anywhere else. What does that mean for you? You get the highest offer you’ll find, but that’s not all you’ll find with us. We make it easy; just fill out a short form and you’ll have an instant 20-second offer. We make it convenient and safe; no private buyers to hassle with or risk your safety with like with Craigslist. Our process is fast; you can have cash in your bank in as little as a few days.